Slabs are the plastic cases that grading companies put authenticated and graded coins into for protection and identification. Samples of these slabs are also produced and given away at coin shows and to dealers for advertising purposes. The coins in these samples are usually low value, of course. People collect these slabs. 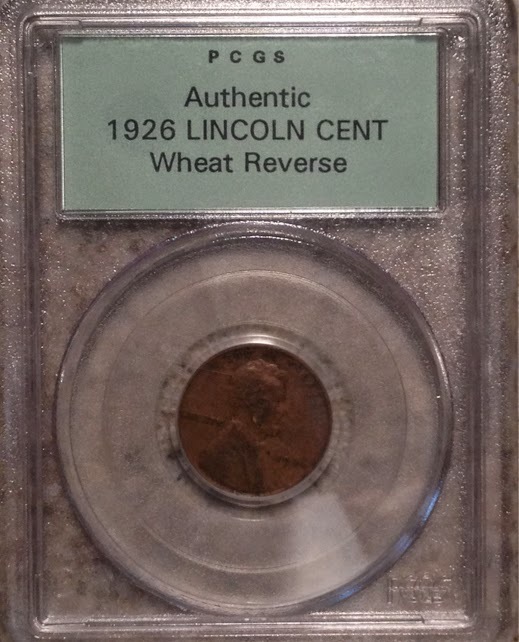 For example, here is a slightly more valuable example that was given to coin dealers only (not to the public). 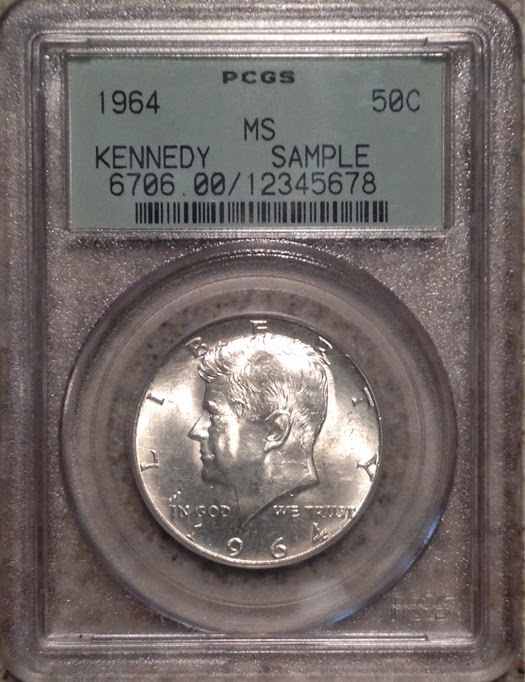 It contains a silver 1964 Kennedy Half Dollar, which would be worth around $10 just for its silver alone. Here's a really strange one. That wasn't given to dealers or the public. PCGS produced 50-100,000 of them for inclusion with "Coin Collector's Starter Kit" offered for sale in 1996. Each slab contained a Lincoln cent dated before 1930. The kits also contained a magnifying glass and a book "The One Minute Coin Expert" as well as other materials. I think you'd be hard pressed to find an original kit, but these slabs are readily available on Ebay for a few dollars. I found mention of the kit at "The Coin Market of 1996".